Ink Assassins Tattoos & Piercings opened at 429 Grant St. Buffalo, New York, on August 9, 2010. They specialize in custom tattoo artwork and provide precision piercing. Dan and Gary are talented artists and experienced in the technical and safety aspects of tattooing. Dan Erickson has 7 years experience tattooing and Gary Grundtisch has 9 years experience. They take pride in maintaining a clean, safe, and friendly environment for you to enjoy your tattoo and piercing experience. 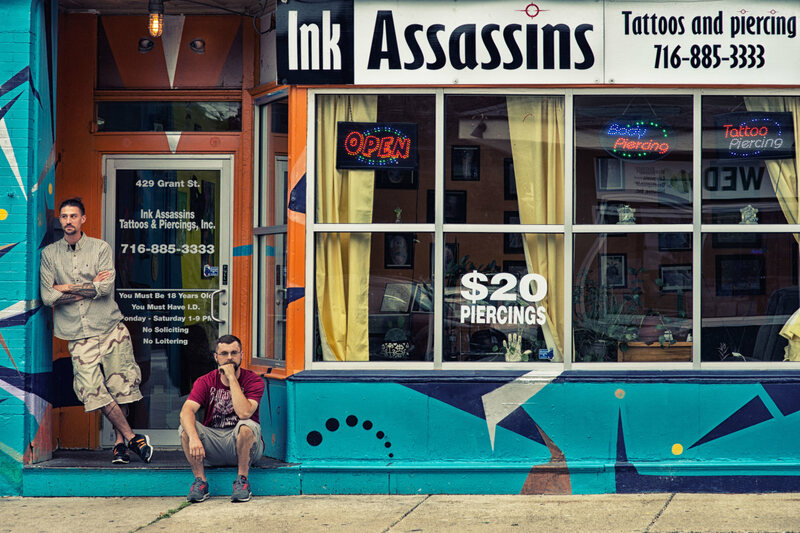 Ink Assassins has passed all Health Department inspections each year.